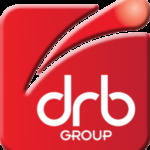 DRB Power Transmission Limited (company number 01330498) and trading as DRB Group, is a turnkey electrical and mechanical engineering company for businesses that manufacture or process products. We were founded in 1976 and operate from our 6.5-acre site in Deeside, North Wales. Our registered office is First Avenue, Deeside Industrial Park, Deeside, Flintshire CH5 2QR. When and what data do we collect? When using the public portion of the website you are not required to provide us with any personal information. We do not monitor or collect any personally identifiable information from you, but we do use general website analytics to make your website experience better. Website forms: if you fill in forms on our website, we will use the information you provide to respond to your enquiry on the basis that we have a legitimate interest to do so. The information is stored in accordance with GDPR. Correspondence: if you contact us by any other means (e.g. email, writing, fax, or telephone), we may keep a record of that conversation if it relates to a legitimate business interest. Marketing: if you ask to be added to our marketing database, we will collect the information you provide and your marketing preferences. We will use the information to send you relevant information about the services our company provides. You can stop receiving marketing information from us at any time using the unsubscribe link on our marketing communications. We maintain strict security standards and procedures with a view to preventing unauthorised access to your data by anyone, including our staff. We use leading technologies such as (but not limited to) data encryption, fire walls and server authentication to protect the security of your data. All our staff and any third parties hired to provide support services are required to observe our privacy standards and to allow us to audit them for compliance. We use website analytics software to record information about your visit. This information cannot identify you. It helps us make the website experience as user-friendly for as many visitors as possible, on the basis that we have a legitimate interest to do so.